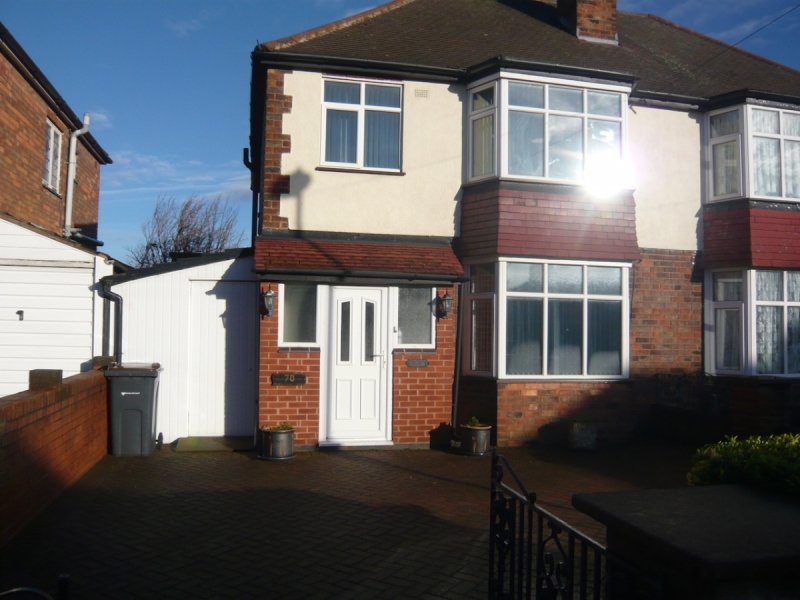 A traditional semi-detached house with easy access to the motorway network and comprising of porch, hallway, lounge with fireplace, fitted kitchen/dining room and conservatory. There is a fourth bedroom/lounge to the rear of the house with an en-suite wet room. On the first floor there are two double bedrooms with fitted wardrobes, a good sized single bedroom and family bathroom with shower. The loft area is boarded out and has dormer windows, light and power but there is no fixed staircase. The property has the benefit of gas central heating and double glazing. Outside there is a garden to the rear laid mainly to lawn with patio area and garden sheds. To the front is off road parking and a single garage that has been converted for storage use. Pype Hayes, Erdington, Birmingham B24 0PG.